At the heart of all Panel Built products are quality components, solid construction and customer satisfaction. 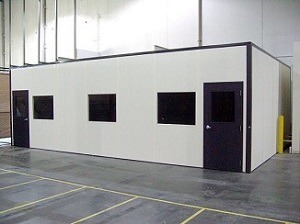 Our interior modular office features standard 3" thick modular walls, available in a variety of surface finishes. 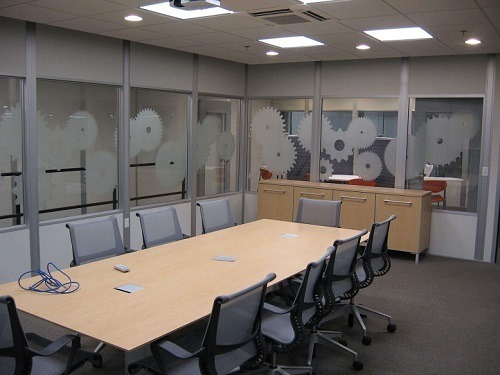 This makes us one of the most flexible suppliers of interior modular offices. To receive a free quote and drawing you can find a rep in your area or fill out our easy request form. Binder post connects the panels with receptacle and electricla wiring run down the center. Optional heavy-duty welded structural steel base with pockets for forklift. Pre-painted metal 2x4 grid accepts standard fixtures and acoustical tile. Includes 4-lamp fixture with acrylic lens. Fixed or sliding 1/4" tempered glass. Located in binder post, data and phone also available. A full product line — for a one-stop shop to save time and money. Fire ratings — to meet local codes, provide safety and decrease insurance costs. Widest variety of facings in the industry — to have just the structure you need for your application. Clear and detailed proposals — so you will know exactly what you are getting for your capital investment. Drawings with our proposals — so you can see what you are getting and make changes to enhance your project. Short lead-time — for flexibility to have the project you need when you need it. 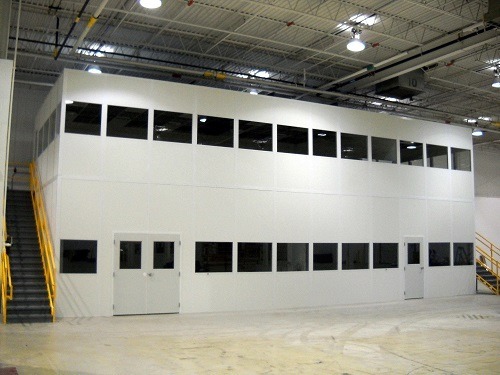 Monolithic Panels — one piece constructed panels that install faster and provide a better finished building. On time deliveries — for project control and peace of mind. 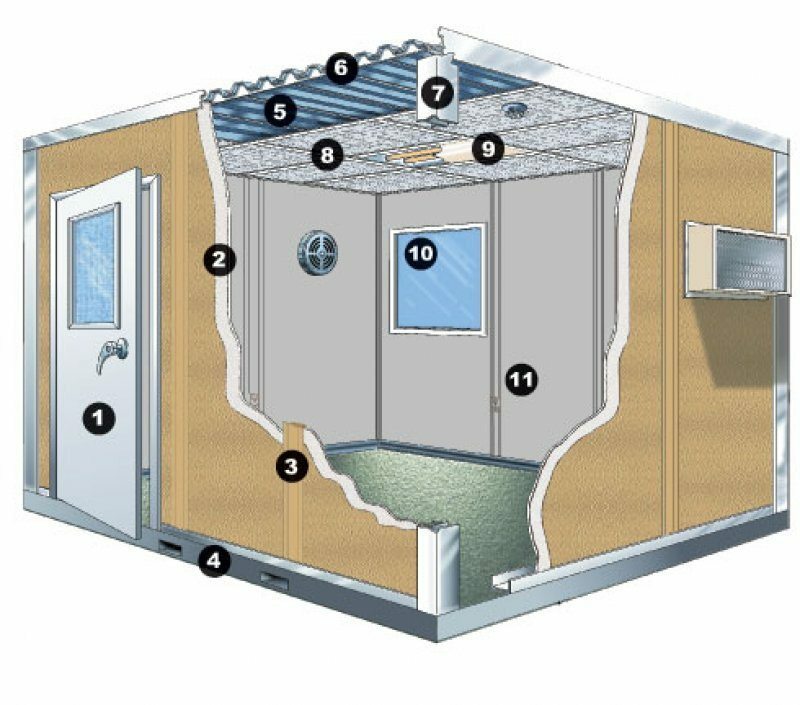 Ease of Installation — our modular systems can be installed by in-house staff or by professional installers. Either way, a quick, easy installation results in a low cost installation. 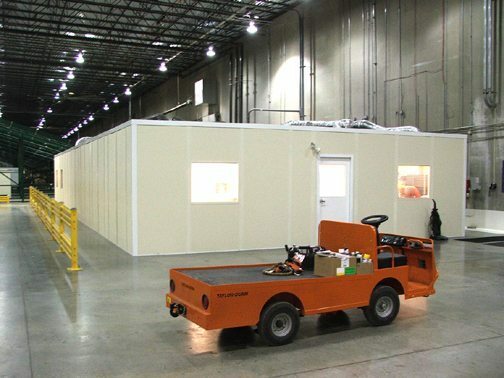 Custom capability — to have the building that you want, just the way you want it. Aesthetics — matching connections, paint and the use of powder coating on various products — eliminating the modular feel and providing a designed interior and modern look.